BERLIN -- Volkswagen Group said third-quarter operating profit at its core VW brand plunged more than half, adding weight to management calls for cutbacks at the the automaker's biggest division. Operating profit at the VW brand dropped to 363 million euros (Cdn $530 million) from 801 million (Cdn $1.17 billion) a year earlier, VW said today, or just 1.5 per cent of sales. Group quarterly earnings before special items rose 17 per cent to 3.75 billion euros (Cdn $5.4 billion), reflecting strong gains at premium brand Porsche. Including a new 400 million euro (Cdn $583 million) provision relating to the costs of its diesel scandal, group earnings were 3.30 billion (Cdn $4.8 billion), VW said in its interim report for the first nine months. The results prove that 12-brand group remains "fully operational in spite of the present pressures," CEO Matthias Mueller said in a statement. Net liquidity in the group's automotive division rose to 31.1 billion euros (Cdn $45.4 billion) at the end of September from 24.5 billion (Cdn $35.7 billion) at the end of last year, the company said. 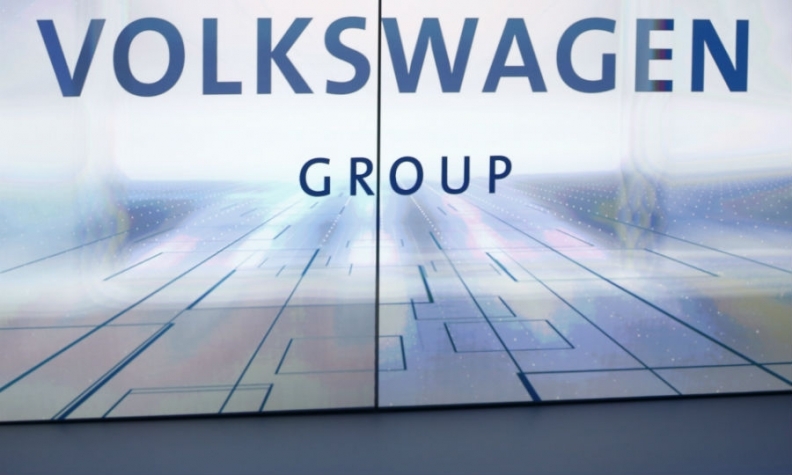 "Despite major challenges and the negative impact of the diesel issue, the Volkswagen Group remains on a solid financial footing," CFO Frank Witter said in the statement. VW needs to make savings at high-cost operations in Germany to help fund a shift to electric cars and self-driving vehicles while facing billions of euros in costs from its diesel emissions test-cheating scandal. "The results reinforce the need for cost cuts at the VW brand," said Commerzbank analyst Sascha Gommel. In the seasonally slow July-to-September period, business at the VW brand was marred by suppliers halting parts deliveries to protest against the cancellation of a contract by VW, reducing output of the Golf and Passat models at the Wolfsburg and Emden plants in Germany by about 20,000 units. Analysts estimated the supplier dispute shaved a three-digit million-euro amount off the brand's quarterly profit and said the carmaker also offered incentives to offset the impact of its emissions scandal on sales. Year-to-date sales of the VW brand swung back to growth on a 6.7 per cent gain in September and the company posted the strongest growth in two-and-a-half years last month at group level, helped by strong demand in China and Europe. The group raised its guidance for profit and revenue this year. It now expects revenue to match last year's 213 billion euros (Cdn $310 billion) after predicting in July that revenue would fall by as much as 5 per cent this year. The group's operating margin may come in at the upper end of VW's five per cent to six per cent target range before special items, the carmaker said. It previously forecast the profitability benchmark to fall within that corridor. The group's efforts to emerge from its year-long diesel scandal suffered a setback after Audi cut its outlook amid rising costs to address the emissions cheating. The luxury-car unit, which is VW Group's biggest profit contributor, said its return on sales this year will be "considerably below" its target of eight per cent to 10 per cent, rather than missing that range slightly.